Some perfumes take their name from their ingredients, like jasmine and amyris. 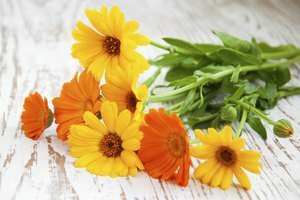 Even though their scents are attractive, care needs to be used when working with these plants: Too much exposure to oil from the narcissus, for example, can cause vomiting and headaches. Amyris is used as a substitute for sandlewood since it's expensive to extract the latter ingredient. 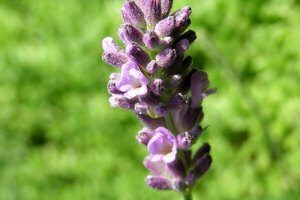 The lavender plant is named after its purple-blue flowers. The jasmine plant is revered for the very delicate scent its blooms give off. 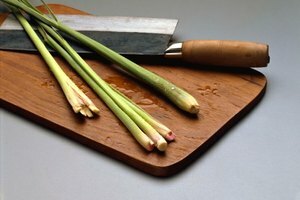 Lemongrass is often used as a scent for soap, as well as perfume. In addition to perfume, the eucalyptus' oil and leaves are used to make medicine. Narcissus is widely used in French perfumes and is closely related to daffodils and jonquils.